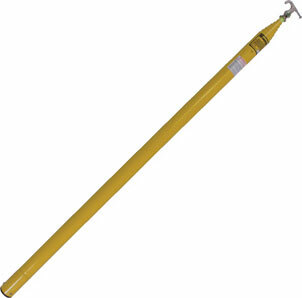 Hastings S-220, one of the original Tel-O-Pole Hot Sticks, is designed for long reach, speed, convenience and safety. All sections are fabricated with reinforced electrical grade fiberglass, for greater strength and high dielectric properties. The STANDARD TEL-O-POLE HOT STICK Mode can be locked at each length listed. The tip diameter for this model is 7/8�. Tip section will not interlock.